Alkalizing foods have a tonic effect on the body. By neutralizing the acidity in the bloodstream, alkaline foods act as a “breath of fresh air” to the system regenerating and restoring damaged cells. Diets high in acidic foods cause the body to break down prematurely, the bloodstream carries these “acid bombs” throughout the system wreaking havoc in their wake. By determining what foods have an alkalizing effect on the body, we can incorporate them into our diet in larger amounts, setting the pH levels in the bloodstream to the optimum level. 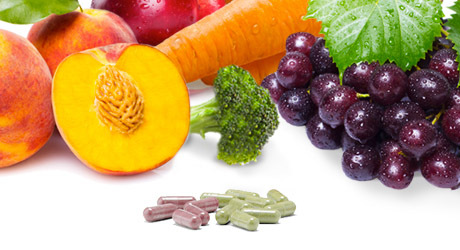 If I said you could get 30 different fruits, vegetables and grains in a capsule, would you take them every day to help you alkalanize to assist in building your mineral reserves? Lets face it, life is getting busier and more hectic each and every day. In my RESTORE Your Gut Health course, I teach you how to establish a healthy pH balance by eating whole foods and then adding in all the gut healing super foods to start healing & sealing your gut. I also teach you how stress can be your number one trigger for allergies and how to kick it to the curb. I UNDERSTAND how life gets in the way. To stay on top of getting your recommended 10 - 13 servings of fruits & vegetables ever day, I am OFFERING you my 8 week RESTORE Your Gut Health course at a FRACTION OF THE COST if you commit to trying the Juice Plus+ 3-blend capsules for 4 months. You will not regret your decision as my 8 week course is jam packed with gut healing education that you can implement to starting healing you gut right away! Ready to reap the benefits of nutrition from fruits and vegetables? When children are inspired by their parents to live a healthy life, they can reap the benefits of good health and nutrition for years to come. Yet often, many parents feel like they aren’t doing enough for themselves or their children to give them a healthful start. 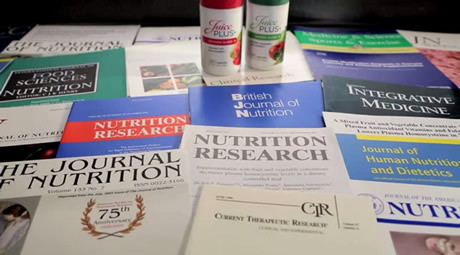 The Children’s Health Study was created by Juice Plus+ to help fuel the next generation with the daily recommended fruits and vegetables children need while also establishing good health habits in their life, giving parents a successful way to guide their families into a lasting, healthier lifestyle.